Two years ago the Finnish group Octopus Syng released an outstanding album Reverberating Garden No. 7, but the eleven songs on the album did not include the title track. Now Octopus Syng are preparing to release their next album, Hollow Salt / Rochelle Salt, later this year that features “Reverberating Garden No. 7.” In advance of the album release the band decided to issue a limited edition 45RPM single on both red and black vinyl, and being contrary, they decided to release a different version from the album as the A Side. The song begins with some heavily reverbed sounds and acoustic guitar. The vocals make me wonder if they’ve been listening to the Soft Hearted Scientists of late. About midway though, the song turns quite melodic and dreamy, followed by enchanting wordless singing. The final minute of the song is a quiet trippy organ solo. The B Side is a cover of Pink Floyd’s “Flaming” that originally appeared on the Fruits de Mer 2014 members-only annual release A Momentary Lapse of Vinyl. 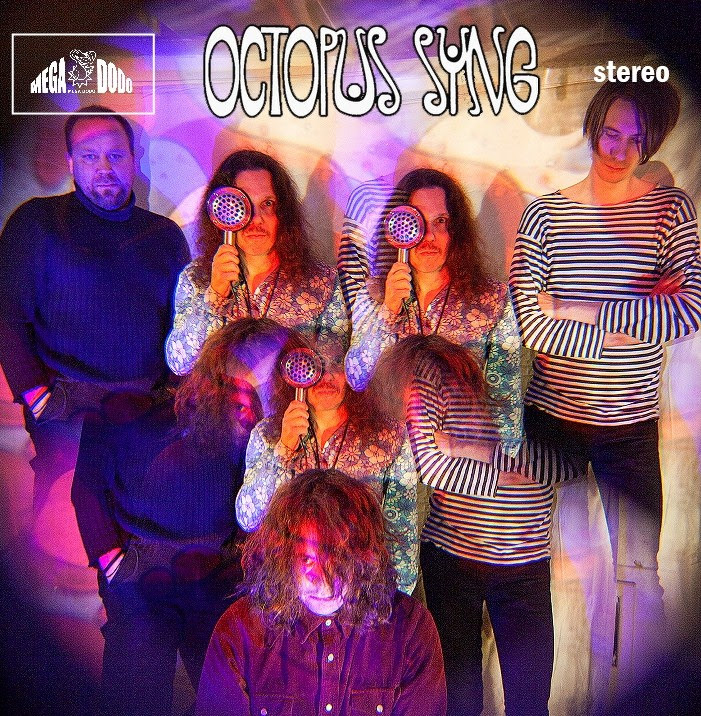 Octopus Syng captures the essence of Syd Barrett and then puts their own brand on the song. This splendid version is worth the price of the disc alone, especially if you were unable to score a copy of the FdM release. The single is due for release by Mega Dodo on May 13, 2016. So be sure to reserve your copy of one of the 150 copies.